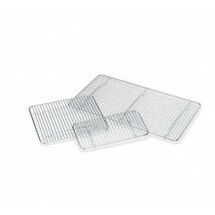 Our selection of cooling racks are a versatile addition to any commercial kitchen. 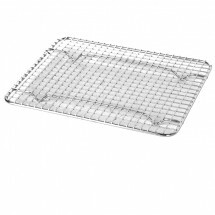 Useful for everything from elevating foods so they don't stick to the pan, to raising foods out of cooking grease, these pans are also particulary useful for cooling baked products and icing them as well. 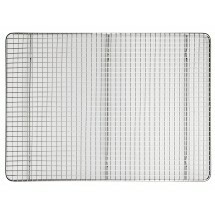 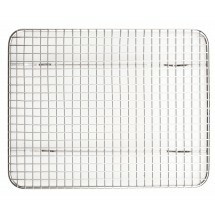 Their elevated construction and wire grates allow air to circulate beneath to help prevent condensation. 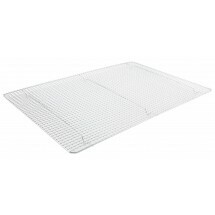 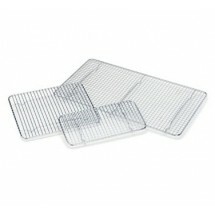 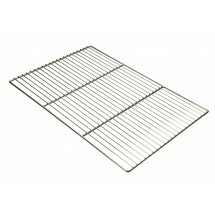 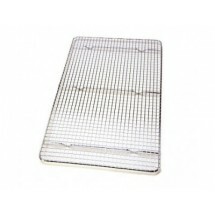 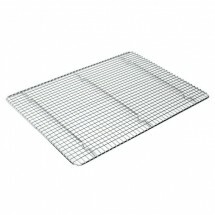 Available in many sizes, with or without feet, stock up on cooling racks for your commercial kitchen. Tip: Stock a selection of cooling racks to speed up the cooling process and the turn around time of baked goods. 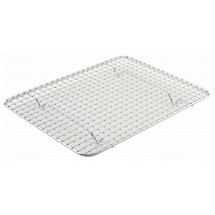 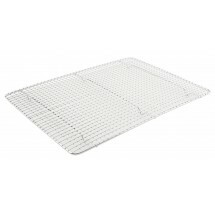 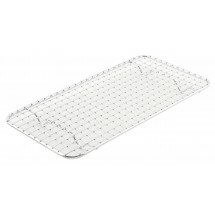 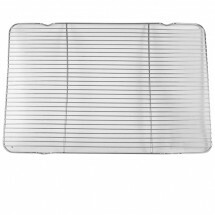 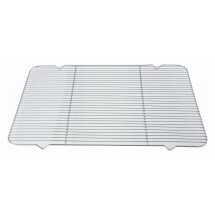 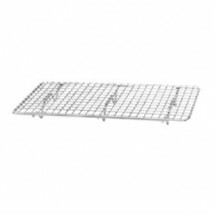 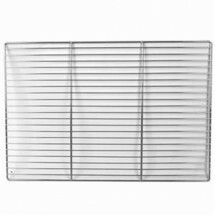 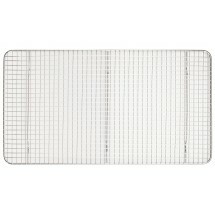 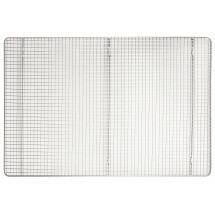 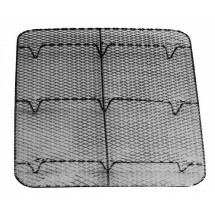 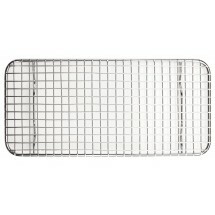 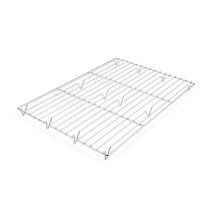 They are available to fit all size steam table pans and are economically priced. 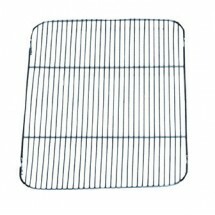 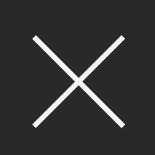 Some top brands to look out for include Thunder Group, Winco, Crestware and more.